The WWE NXT TakeOver: Chicago pay-per-view is scheduled for June 16, 2018 at the Allstate Arena in Chicago, Illinois. Follow along here for spoilers and information on the event's card, lineup of matches and news regarding the pay-per-view. The following are my predictions for the 2018 WWE NXT TakeOver: Chicago II event. Check back for NXT TakeOver: Chicago results and review coverage here when the time comes.. So despite how they seemed to be building toward a Triple Threat with Black, Gargano and Ciampa, a decision was made to just lump Lars Sullivan into the mix and go with him instead. Sure. Why not? This just means I'm changing my prediction for who the next champion will be, as I thought it would be Sullivan, but not here. It's too soon. This should be a good match, though. I'm looking forward to it. Even if I don't think it will be the best match of the card, that's not a knock on it, as I just think two other matches could be better. PREDICTIONS: Aleister Black retains the title. 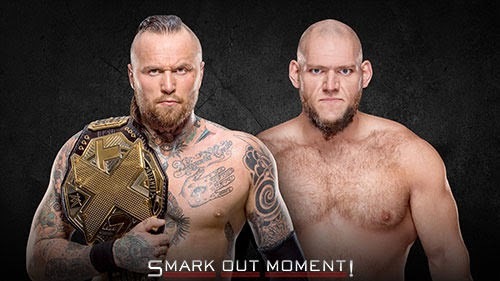 Again, despite how it seemed like a Triple Threat was in store with these two and Aleister Black, WWE opted to just have a rematch. What's weird about this scenario is that Gargano won their last encounter and has been getting the worse end of their fights ever since, so that means either they just repeat the Gargano win again (meaning no ground has been made and they merely repeated the whole storyline again) or Ciampa wins again and Gargano continues being beaten down with no balance. Strange. I do have a lot of faith that this will be great, though, and I'm really excited to see what they have to offer. PREDICTIONS: Tommaso Ciampa is victorious. Well my theory about Lorcan and Burch being mere stepping stones on the way to establishing a different set of contenders seems to have been wrong, right? 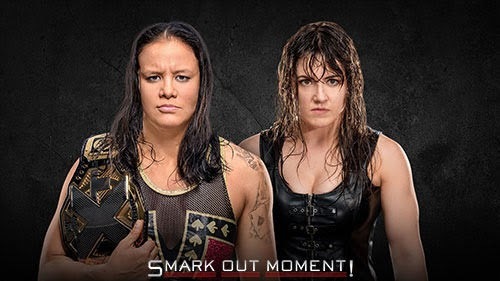 I figured it would go down the route that Shayna Baszler and Dakota Kai did, but nope, The Brit-Am Bruisers are actually getting the title shot. That doesn't change the fact that they're still sacrificial lambs, though. There's no way they're winning these belts. All signs pointed to Dakota Kai losing her title match to Baszler, naturally, and Cross picking up where she left off as the next challenger. Then, that went ahead and happened. Cross, in my mind, is a means to stall to give Baszler a longer title reign. She has no shot at actually winning. Later on, at either Brooklyn IV or Los Angeles, that's where Baszler will be in trouble, when she'll face either Kairi Sane or Candice LeRae and one of those two will beat her. Until then, she's holding onto that strap. Ricochet has proven himself to be entertaining as hell, The Velveteen Dream is awesome, and this feud is about trying to one-up each other. I'm so, so down for this match. I think it has a chance to be the best match of the night and really steal the show.